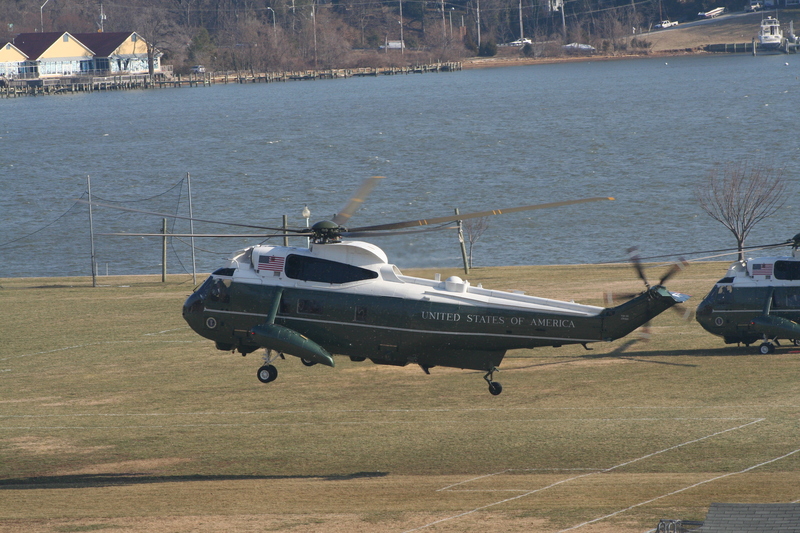 President Obama came to Annapolis today to meet with Democratic senators. 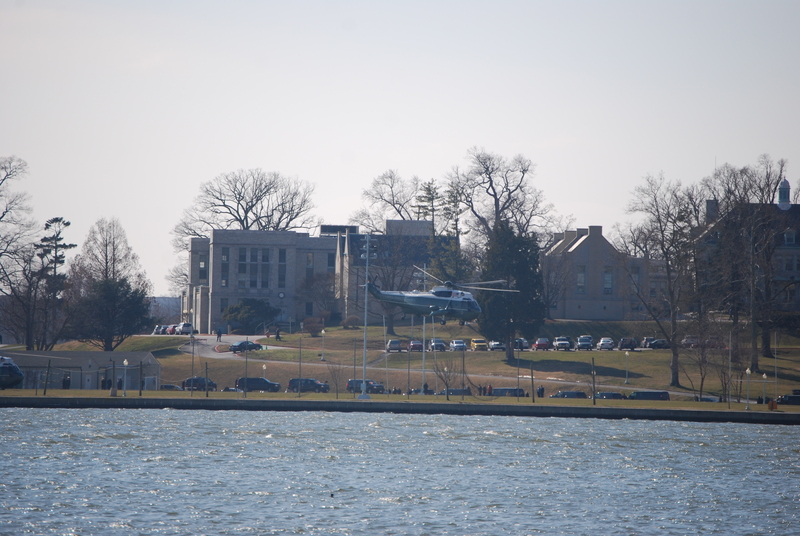 He came on Marine One and landed at the Naval Academy, right outside my office. 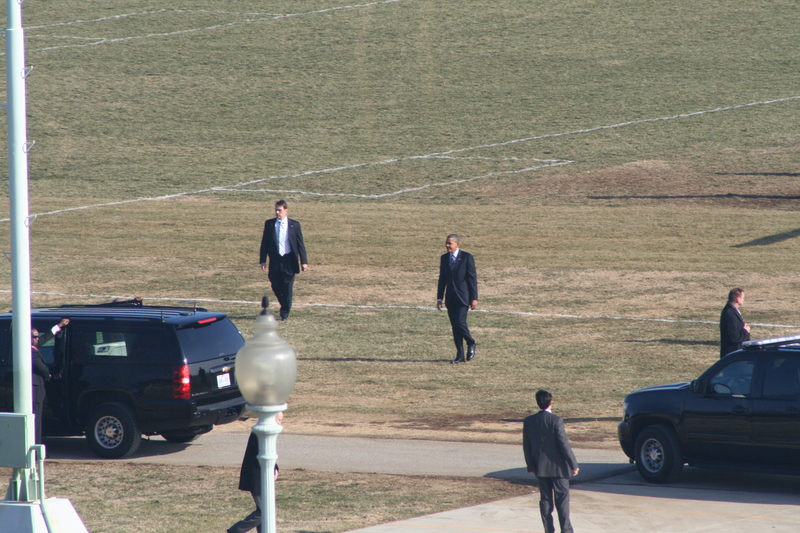 One of my coworkers had a DSLR with them and was able to get some good pictures of the President’s arrival. 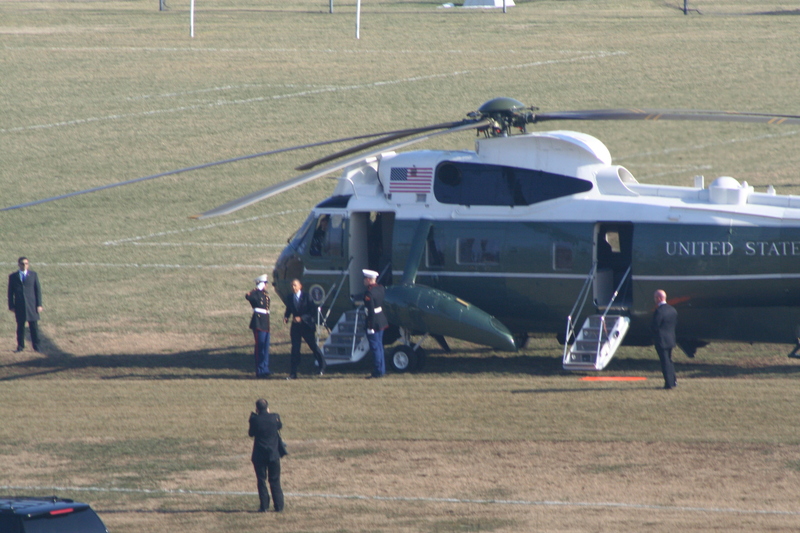 After he had finished his business, he came back to the Naval Academy, boarded Marine One, and headed back to Washington. 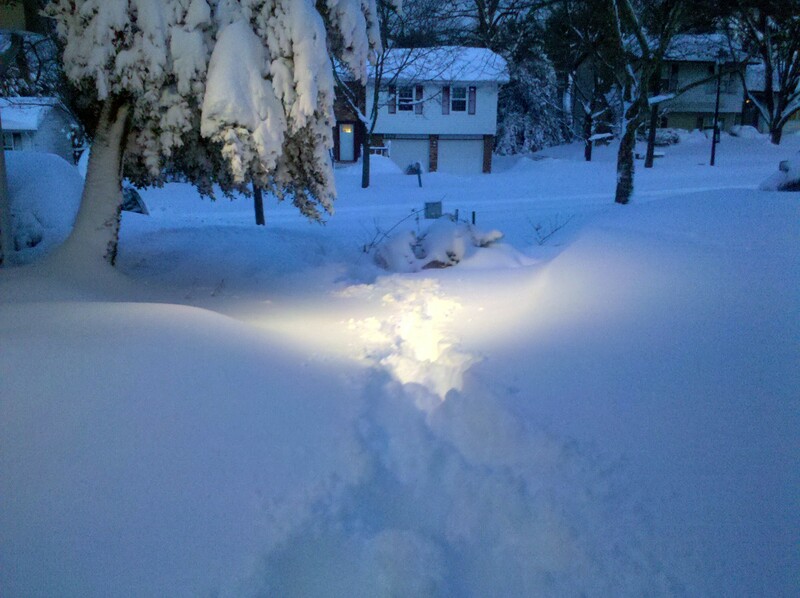 We went across the Severn River to get some pictures & video of his departure.